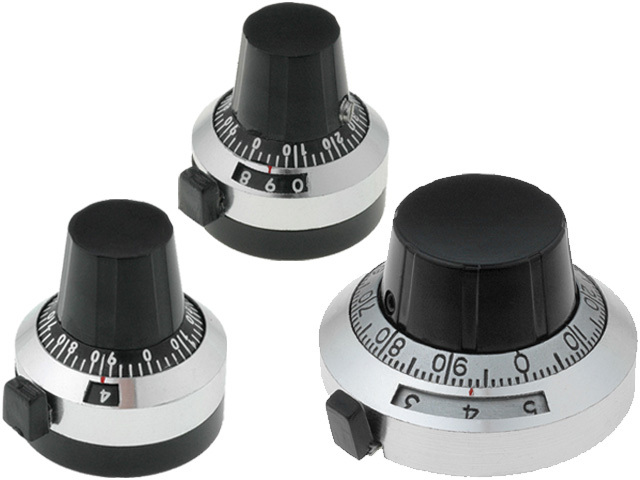 The assortment of precision multiturn knobs in TME has been expanded by new items. They are suited for mounting on even shafts 6.4mm in diameter. New products are available in black-silver color scheme. The esthetics of finishing and precision are among main advantages of these new knobs. Interlocking hex nut allows reliable fixing of the knob on the potentiometer shaft.